According to The Balance, the average employee can be expected to change jobs 10-15 times during their career. This includes not only switching to a new company or field, but also receiving promotions or transferring within one’s current organization. 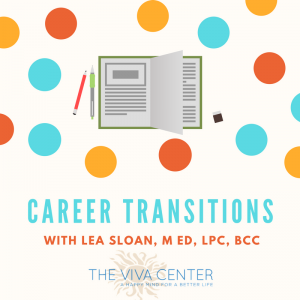 With so many work transitions occurring in our lives, we checked in with professional counselor and professional development coach Lea Sloan, M Ed, LPC, BCC, who provided us with the following tips on moving through a change in position. These rules can also be applied to other life changes, such as moving to a new location or breaking off an old relationship. With every change comes a process of transition. Change is what is going on outside of you, while transition is your response (thoughts, feelings, alterations in behavior, etc). Below are some steps to help you move through transitions. Fill this out and post it in a place where you will see it every day. Seeing your goals will both make them feel more real and inspire you to bring them into being. Write a statement that clearly defines your circumstances and intention. What around me is changing? What transitions will I have to make? What strengths do I bring that will help me through this transition? (e.g. “I’m determined”; “I’m committed”; “I’m optimistic”). Which traits of mine may make this transition difficult? (e.g. “I get deflated easily”; “I get over-confident”; “I get bored” etc). What can I do about this? What stressful circumstances am I facing now? What effect will each stressor have on this transition? What do I need to do to take better care of myself as I move forward? Where can I turn for sources of support? What do I need to ask for? What else might I need to consider? Considering all the factors mentioned throughout this exercise, what are my main goals during this process? Throughout our lives, we’ll face many transitions, not only in the workplace, but in our relationships, health, goals, and more. The guiding principles listed above are designed to help you handle those transitions in a secure and productive way. 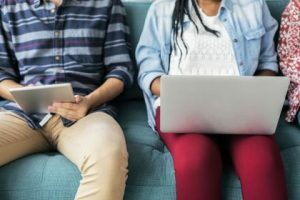 For transitions that are particularly complex and for which you could use some additional support, professional guidance can be an important resource. To speak one on one with Lea about your transitions, you can reach her at her website. You can also contact our extensively trained clinicians with any questions or concerns.